Riverdale star Camila Mendes recently shared a play-by-play of her experience at a notable Vancouver restaurant, Dark Table. 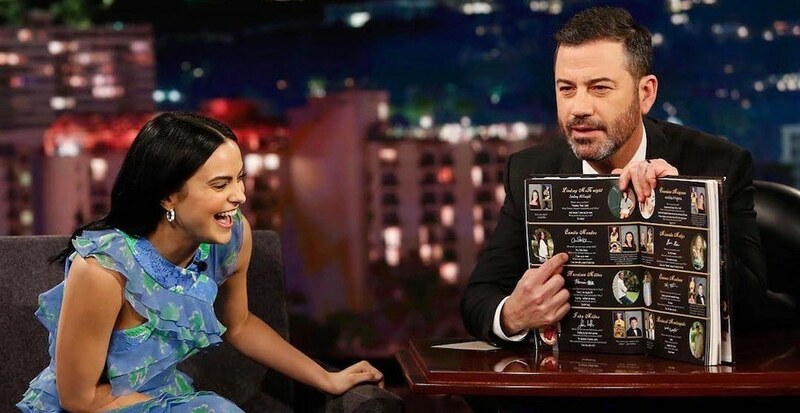 This week the actress appeared on Jimmy Kimmel Live where Kimmel struck up a conversation about her first “dark restaurant” experience – Aka dining in a pitch black room from start to finish. Mendes explained she dined at the Kitsilano eatery with a big group of friends, including co-stars Cosey Cott and Cole Sprouse, but Sprouse took the opportunity to ruffle some feathers. Sprouse surprised his tablemates, and all of the dark restaurant patrons, for that matter, with a surprise flash photo 30 minutes into the meal. The rest was like a scene out of Game of Thrones, as Mendes put it, where the room started booing at the culprit responsible for the flash, without knowing it was Sprouse.